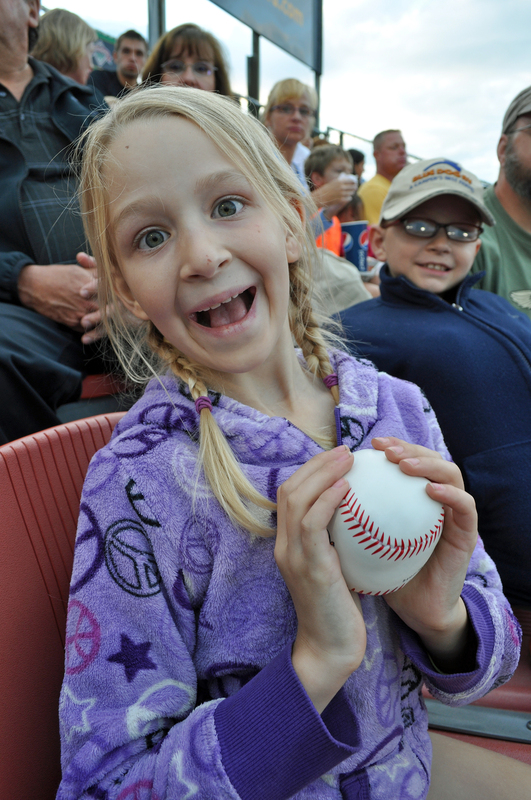 The last time we went to a baseball game was back in 2010, right after we moved to Great Falls. We had gone to watch the Voyagers play, but the kids got bored, so we left early. We enjoyed the atmosphere, though, and thought there were more games in our future. But, as usually happens, time marched on and we never managed to make it to another game. 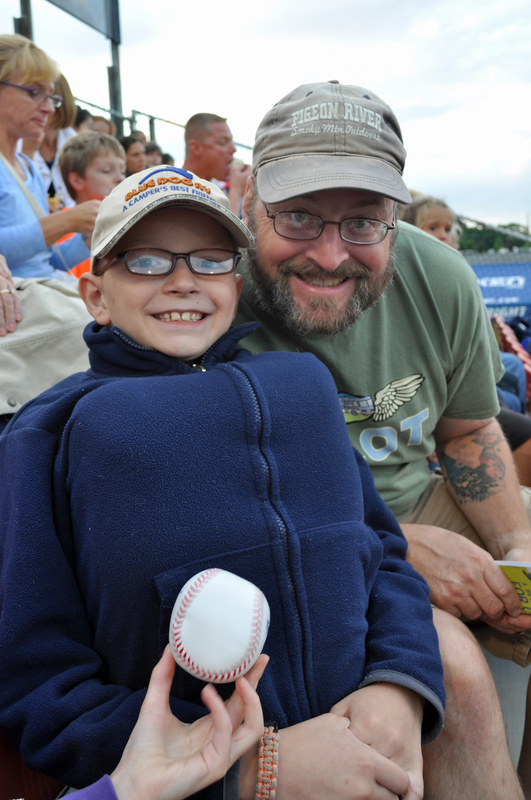 So when Rob was given tickets to watch the Reading Fightin Phils, we were excited to go. 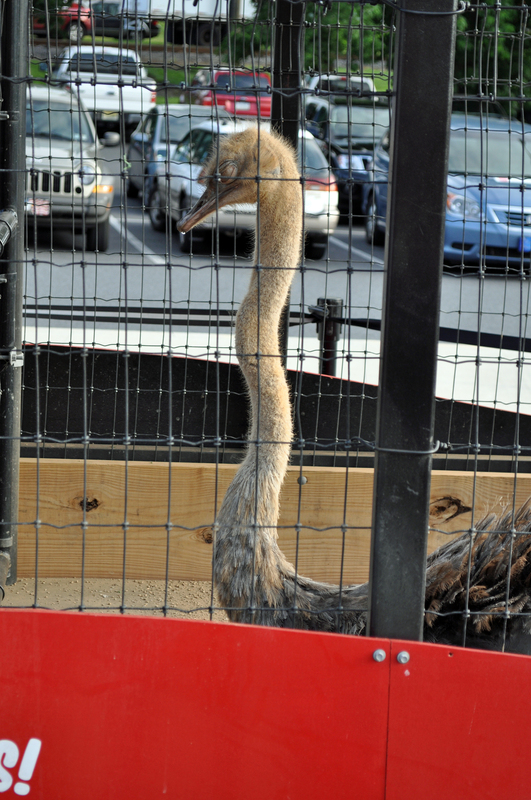 Their mascot is an ostrich, and we were surprised to see two of them out in front of the ball park. 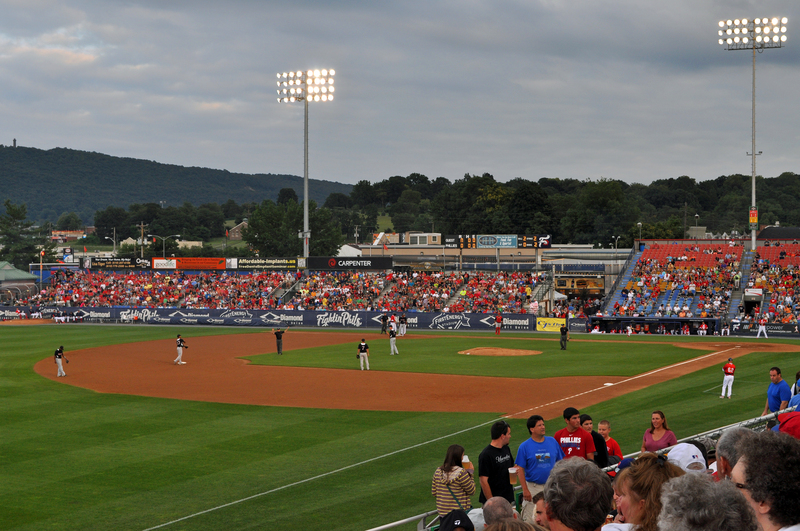 The visiting team was the New Britain Rock Cats from Connecticut. It was a beautiful evening for a game with both the temperature and humidity very comfortable, especially compared to what they had been. There was constant entertainment during the game. At one point, they were launching stuffed baseballs into the crowd. Nathan had mentioned that he would like one and was wondering why they didn’t shoot any towards us. No sooner had I explained that there were many people in the crowd who would like one and not nearly enough balls for everyone, when one flew directly at us. One minute it was flying through the air, and the next it was in my hands. How on earth did that happen?! 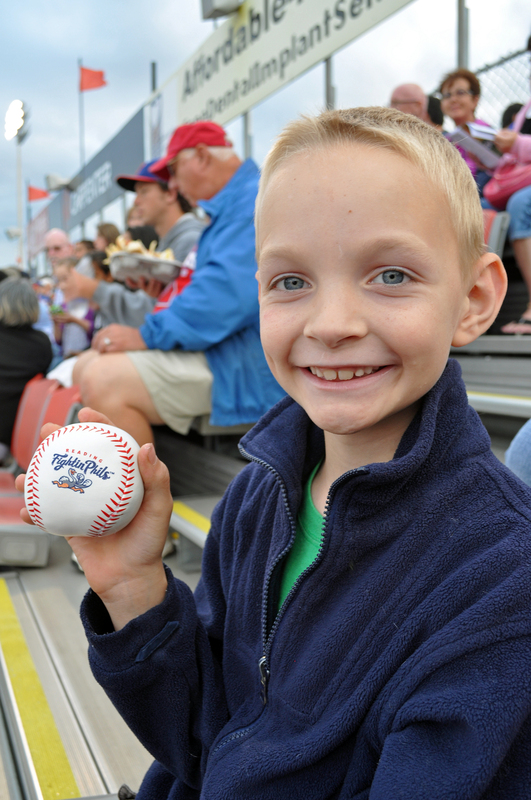 The kids were all excited about the ball and took turns playing with it throughout the game. The game was a little slow until about the eighth inning when the boys had to go to the bathroom. Up until this point, the score had been 1-0, Rock Cats. As soon as the boys left, the Fightin Phils scored two runs! They scored another run after the boys came back so at least they were there for some of the excitement. The final score of the night was 3-1, Fightin Phils. Everyone enjoyed the game and it made for a nice evening out. 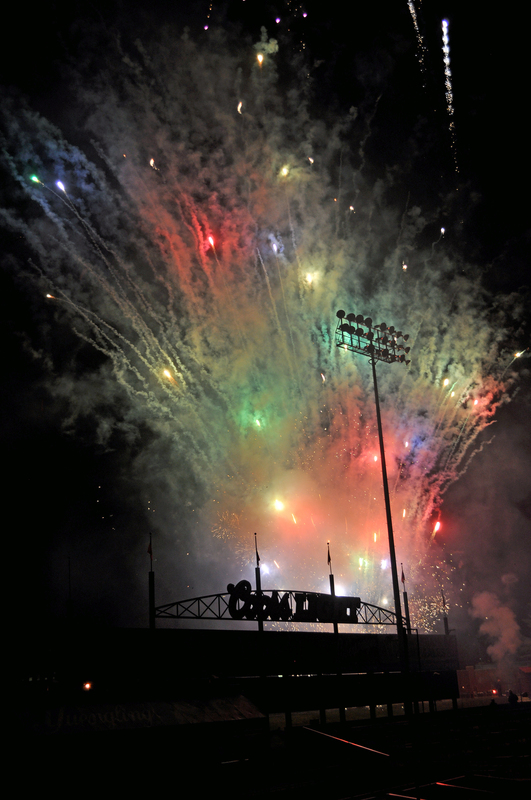 At the end of the game they put on a spectacular fireworks display. We were expecting a small show, but they went all out. I think it was one of the nicest shows we had ever seen! Needless to say, it was a great way to end a wonderful night.